It was seen that many children were deeply affected by the constant rejection -- prospective parents who come to see them for adoption but then reject them. 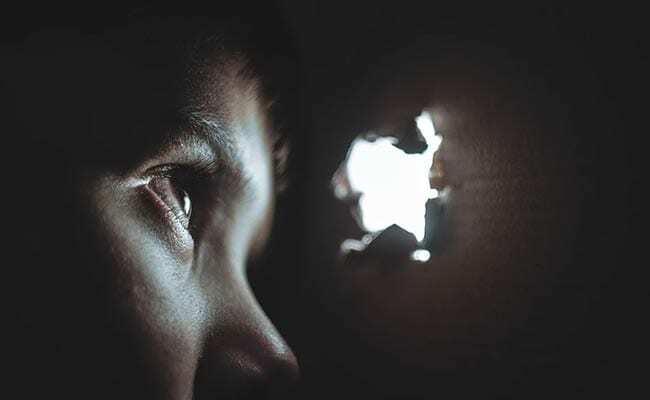 The report described punishment given to children as "very disturbing"
Trapped in a world of silence, some children living in Bihar's Specialised Adoption Agencies don't speak at all because they have no one to talk to, reveals a TISS report that details instances of hunger, isolation and verbal abuse at the state-run institutions. In its audit of 21 SAAs in 20 Bihar districts, the Tata Institute of Social Sciences found some children as old as three years were not speaking at all because there was no trained staff and also because they had no one to speak to. These institutions have 70 per cent girls. "Acts such as locking the child in the bathroom, making them do sit-ups, isolating them, abusing them verbally were noticed at these homes," the report said. Describing the punishments "very disturbing", Mohammad Tarique, who led the TISS team that prepared the report, said they have long-term impact. "These children are very little. Locking them in bathrooms can create very severe mental trauma for these children who might not even understand why they are being punished," Mr Tarique told PTI over the phone. "We observed many a times that a child was medicated twice or not medicated at all due to neglect or lack of staff. This is something that can have a life threatening impact," he said. According to the report, no on-site doctors were available in 38 per cent of these facilities. Some of the homes were overcrowded while some had children below capacity. "The one housing children above its capacity was found to be struggling with shortage of staff and resources," Mr Tarique said. "These children need professional care. They should be prepared emotionally to understand that if they are not being chosen by prospective parents they are not be blamed. Absence of such care demotivates them and depresses them," he added. The report expressed its grave concern over three SAAs in particular. These are Patna's Nari Gunjan, Madhubani's RVESK and Kaimur's Gyan Bharti. The three centres were found to be running under situations that could be "life-threatening" for its residents. There were very few caretakers as compared to children and babies at the centres. The infrastructure at these institutions was found to be inappropriate for housing infants and young children. "The children in these homes seemed unhappy and hungry," the report added. Underlining that neglect can as significant as physical abuse in stunting a child's mental growth, clinical psychologist Sujatha D Sharma said it can scar a child for a very long time and also affects personality development. "These children do not have stimulation on a day-to-day basis. Maybe, they are fed and clothed but there is no one spending quality time with these children. So what about mental stimulation?" she asked. "Two to five years of age is the time of maximum development of the brain and it is a period of rapid growth and if a child is not stimulated enough then the child is missing out on the growth phase and can have significant implications in the long term," Mr Sharma said. "Specialised educators trained in working with children, especially with expertise in understanding early growth, need to be appointed in SAAs due to critical nature of these institutions," it said.